December 2014 – My Story – ISB and beyond !!! Sanjay special at Brahma Gana Sabha today with a much deserved standing ovation at the end. Marathon 3 hour 40 min concert by Sanjay Subrahmanyan (Vocal), Nagai Sriram (Violin), Nanjil Arul (Mrudangam) and Dr. S. Karthick (Ghatam). 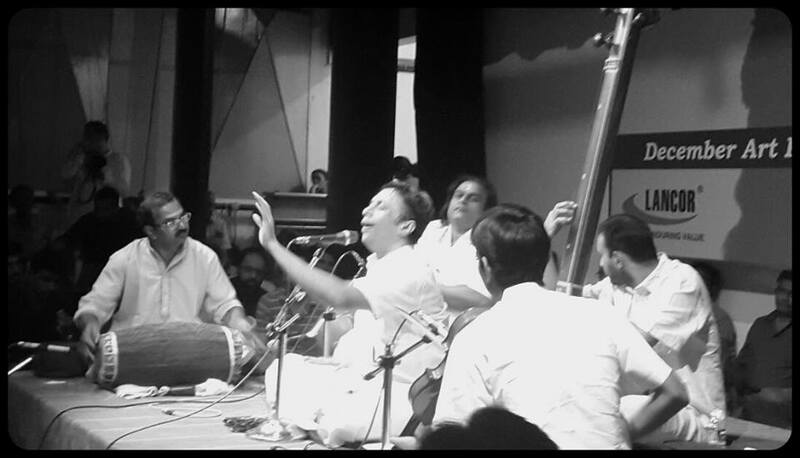 Brahma Gana Sabha is one place where I have never missed a Sanjay concert in the last so many years now. Special mention must be made of Nanjil Arul. I have heard his recordings before but this is the first time I heard him live. He played along so well and came into his own with special endings and phrases whenever he spotted the opportunity. 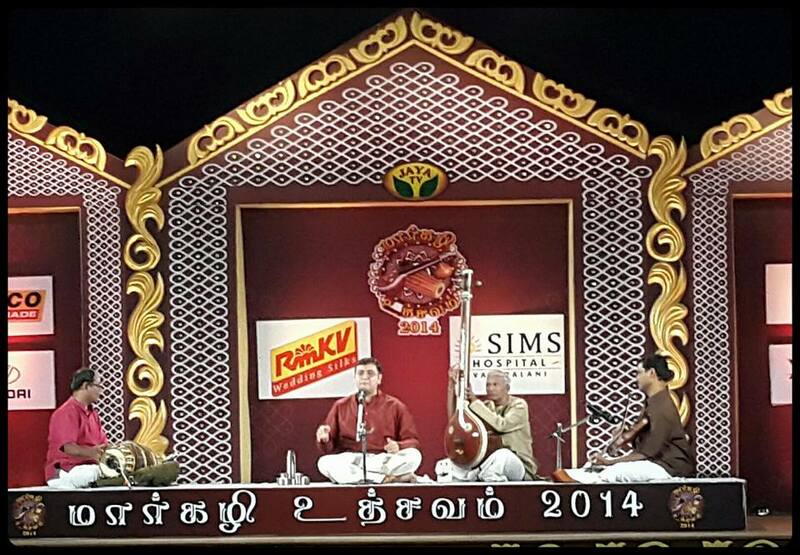 Nagai Sriram and Dr. Karthick were great as usual. 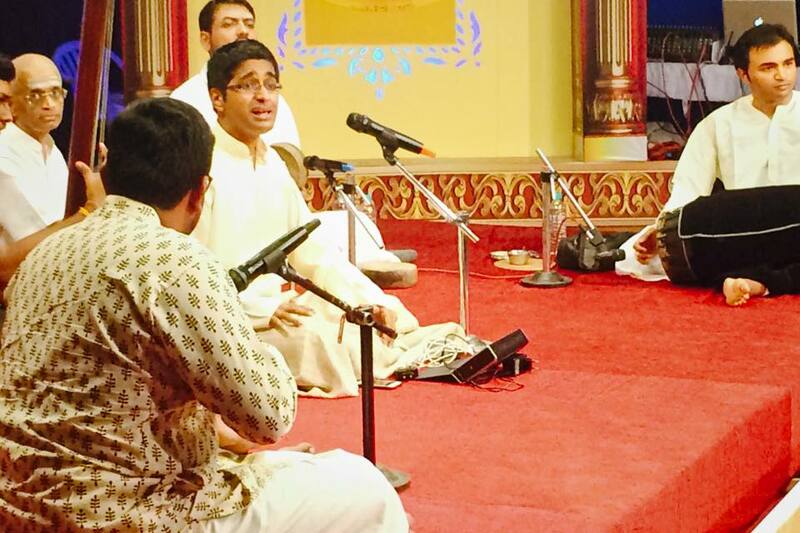 Nagai Sriram’s ragamalika swarams for the pallavi were too good, matching the standard set by Sanjay when he sang them.